Paragon Capital Management Ltd has a 13F portfolio of $143 million with its primary focus in the finance industry, as per its recent SEC 13F filing. Alexander N. Feick is the managing director of Paragon Capital Management Ltd with Exxon Mobil Corporation (NYSE:XOM), The Coca-Cola Company (NYSE:KO), Colgate-Palmolive Company (NYSE:CL) as the top three holdings of the company. The top 10 holdings of Paragon Capital Management form 75.68% of its overall portfolio. 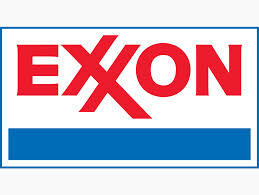 Exxon Mobil Corporation (NYSE:XOM) is the top holding of Paragon Capital Management Ltd with 29,845 shares with market value of $2.8 million. Exxon Mobil Corporation (NYSE:XOM) reported second quarter 2014 earnings of $8.8 billion with earnings per share of $2.05. Berkshire Hathaway is the primary investor of Exxon Mobil Corporation (NYSE:XOM) with investments worth $4.14 billion followed by Bill & Melinda Gates Foundation Trust ($819 million) and Yacktman Asset Management ($717 million). The Coca-Cola Company (NYSE:KO) comes as the second largest investment of Paragon Capital Management Ltd and owns 46,159 shares of the company worth $1.96 million. The Coca-Cola Company (NYSE:KO) announced net earnings per shares of 58 cents with $4.5 billion year-to-date cash from operations. Berkshire Hathaway is the largest investors of The Coca-Cola Company (NYSE:KO) with investments worth $16.9 billion followed by Yacktman Asset Management ($1.8 billion) and Bill & Melinda Gates Foundation Trust ($1.44 billion). Paragon Capital Management Ltd has investments worth $1.86 million in Colgate-Palmolive Company (NYSE:CL) and 2,866 shares. Colgate-Palmolive Company (NYSE:CL) had net sales of $4.35 billion in the second quarter 2014 with net income of $622 million during the quarter. Renaissance Technologies is the primary investor of Colgate-Palmolive Company (NYSE:CL) with investments worth $654 million followed by First Eagle Investment Management ($321 million) and Citadel Investment Group ($132 million).